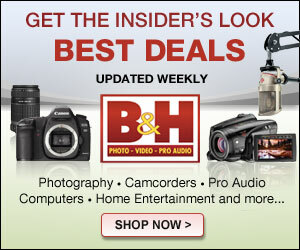 Six new cameras were introduced in 2012, with a seventh (the Panasonic GX1) coming just before the end of 2011. All but one of these six new cameras featured 16 megapixel sensors, finally leaving the far too often used and sub-par 12 megapixel sensor that was found in all previous Olympus Pens and some of the remaining Panasonic line as well. While the Panasonic GH3 (which I’ll discuss in a moment) is essentially as capable, no camera for Micro 4/3 has made quite the impact as the Olympus OM-D E-M5. (Read our full review) The OM-D made waves for its retro looks and very high performance. It’s a visually striking camera, with a solid magnesium weathersealed build, tons of external controls, a new in-body IS system, fast frame rates, a capacitive touch screen, fast autofocus and an outstanding built-in EVF. 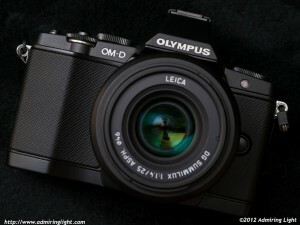 However, the biggest contribution to the Micro 4/3 world with the OM-D is its outstanding sensor. While performing only slightly better in the high-iso department than the 16 Megapixel sensor introduced in the Panasonic G3 and GX1, the OM-D’s 16 megapixel sensor was the first for the system to offer DSLR-capable dynamic range. The OM-D’s 12+ stop RAW dynamic range far outstrips previous Micro 4/3 cameras, is competitive with most APS-C DSLRs, and even bests every camera in the Canon lineup in that department. The new 5-axis in-body IS system is revolutionary. While Olympus cameras have had IBIS for years, they were marginally effective and nowhere near as good as the optical stabilization offered by other companies. The OM-D’s IBIS, however, is dramatically improved. I have found it to be capable to between 3 and 4 stops for most focal lengths, and still effective to 2 full stops even at extreme telephoto lengths. The IBIS has changed my approach to photography and made it more fun. If I’m out at night and didn’t bring my tripod, I can still take night photos. I can shoot in dimmer light indoors. Combined with fast primes, this camera enables a new level of low light capability that even most full-frame DSLRs can’t manage simply because there are very few full-frame prime lenses with image stabilization in the wide to short telephoto range. All these things combined make the Olympus OM-D E-M5 an easy choice for Admiring Light Camera of the Year. 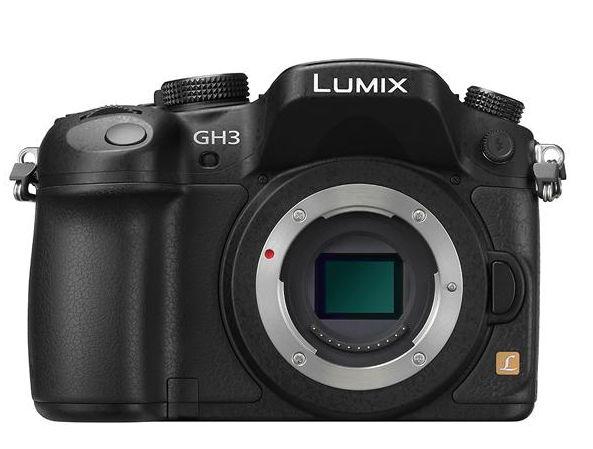 While it came later, Panasonic also released a very high end camera this year, in the just recently shipping GH3. The GH3 is really the first Panasonic camera that could be considered pro-grade. It’s big for a Micro 4/3 camera…about the size of some smaller DSLRs, but it packs a wallop. Featuring a similar sensor to the OM-D, the GH3 has excellent dynamic range and good noise control, put into a body with excellent ergonomics and a wealth of external controls. Panasonic upped the EVF resolution with the GH3, providing a clearer view with faster refresh, and made further refinements to what was already the best single shot autofocus system available for mirrorless. Additional welcome features include a full electronic shutter and tilt-swivel rear screen. While stills have been improved with the GH3, they’ve made even bigger improvements on the video side. The Panasonic GH2 was widely regarded as one of the finest HD video cameras available, and the GH3 ups that considerably. The GH3 is capable of filming full 1080p video at a variety of frame rates, and can record at a bitrate up to an absurd 72 Mbps. 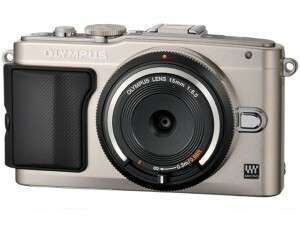 If you are a videophile, this is your camera. The GH3 is weathersealed and made of magnesium alloy and also has an available battery grip. I haven’t had the chance to get my hands on one of these yet, but I hope to be able to get a review unit sometime in the next several weeks. The GH3 is an expensive camera, but its range of capabilities may be well worth it, especially for those photographers who also do quite a bit of video work. Panasonic also released the G5. The G5 utilizes a modified version of the 16 megapixel sensor found in the excellent GH2, and while the G5 followed relatively closely after the G3, it was a welcome addition. The G5 returned to the large grip found on all previous G-series cameras (save for the G3), and upped the ISO capabilities to ISO 12,800. The G5 is a solid, well rounded camera geared towards the stills photographer who wants usability and functionality in a reasonably priced package. If you don’t want to shell out the $1,299 for the GH3, but want a camera with an integrated viewfinder and good image quality, the G5 is certainly worth a long look. Olympus was also busy towards the end of the year, putting the outstanding sensor from the OM-D into its Pen range with the E-PL5 and the E-PM2. These are rangefinder style cameras, and while they still have in-body IS, they retain the older standard version rather than the OM-D’s outstanding 5-axis IS. However, if you’re looking for a small camera with great autofocus and a top notch sensor, these are great cams to take a long hard look at.